The facial aging process varies from person to person. Its main causes are changes in bone density, loss or displacement of fat, and the break down of collagen and elastin. When your skin begins to lose collagen and elastin, you may notice a loss of volume in areas such as the hollows of your cheeks. Lifestyle choices, such as diet and sun exposure, can impact how quickly your skin loses its elasticity. Factors such as bone density changes can’t be prevented, though fat, collagen, and elastin loss can be minimized. When age prevention methods are paired with facial treatments that boost collagen, you can get back your youthful facial fullness. 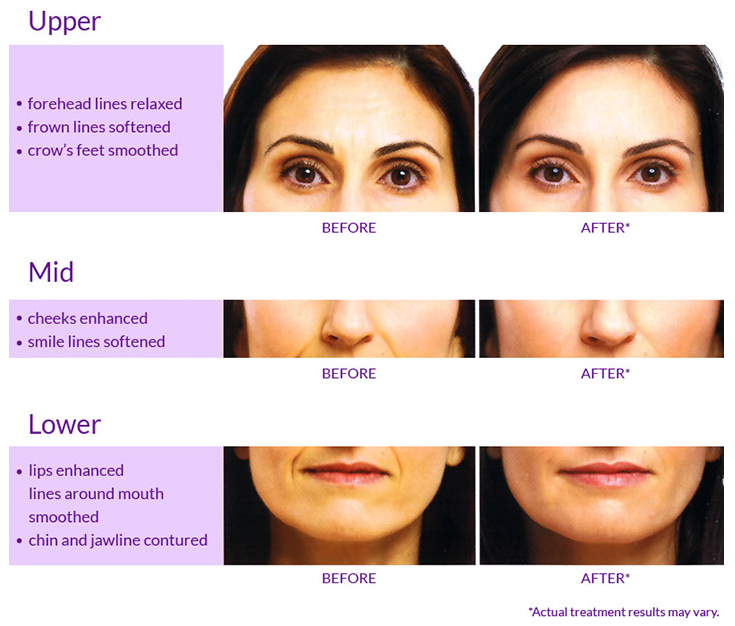 SoftLift™ its a new treatment that combines the benefits of Cosmetic Facelift and Juvéderm® dermal filler to address multiple signs of aging at the same time. Firm and tighten skin by restoring collagen for younger looking skin on the face and body. Cosmetic Facelift can eliminate the wrinkles on your forehead, around the eyes, on the neck, and lift up your eyebrows for a refreshed look.